Old-time board games could be making a bit of a comeback thanks to the recession, as parents look for ways to entertain their kids and maybe teach them a thing or two without breaking the bank. Board games have become passe over the past couple of decades. Most people now associate "family game night" with the Wii and playing games with your friends has come to mean slapping on a headset. But that attitude could be changing just a little bit, as a recession-battered public looking for cheap, durable entertainment drove a small but still impressive growth in board game sales in 2009. The NPD Group reported that board game sales through October 2009 were up by four percent over the same period in 2008; web connected toys, on the other hand, were down by 39 percent. The reason, according to "toy experts," is simple: A decent console setup is going to run around $300 and that doesn't include the price of games and online subscription fees. Classics like Chutes and Ladders, on the other hand, will set you back about five bucks at Toys R Us. 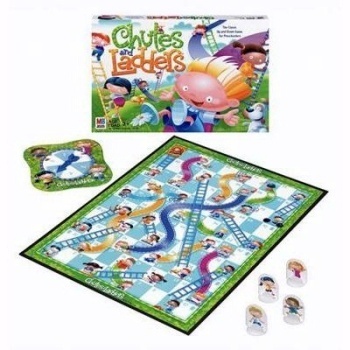 They can be played repeatedly with unpredictable outcomes and, in the eyes of many, offer greater educational value than their console cousins: Chutes and Ladders can help establish early math skills, while the card game Uno is great for everything from color and number recognition to strategic thinking. But board games can also help develop less tangible social skills, like taking turns, following rules and learning to win and lose gracefully. "One of the primary skills (board games) develop is self-regulation," said Peter Pizzolongo, director of professional development at the National Association for the Education of Young Children. "You have to be able to wait your turn." Pizzolongo's statement makes me wonder if maybe we haven't lost something by forsaking the face-to-face contact that comes from rolling dice across a table in favor of mashing buttons with people across the country. Would a kid who's ready to scream obscenities into his headset at the drop of a hat be willing to do the same thing to a group of players in the same room? I'm not suggesting that a punch in the mouth is an effective behavioral modification tool, but given that so many of our social skills develop through playing games, I can't help but think that a board game bounce might do us all a bit of good.